Demystifying the Working of the BK Mikro | Techna-tool Inc. Demystifying the Working of the BK Mikro | Techna-tool Inc.
BK Mikro is an exceptional broken tool detection system engineered by Techna-Tool. 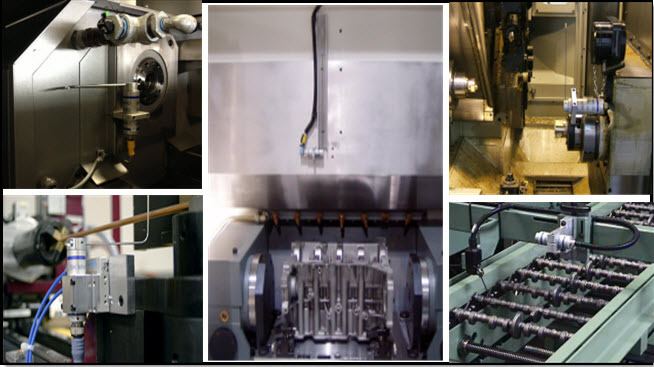 Although the primary function is to look for any damaged tools in a CNC machine, it can also be used to look for any defects in a part, to inspect objects, and for position recognition. How Does the BK Mikro Work? Techna-Tool’s BK Mikro systems consist of a scanner (also called a sensing head or probe) and a controller. This scanner is used to check the position of the tool being used in the machinery by means of a rotating wand that touches the tool. A servomotor and encoder help in this process. The BK Mikro ‘learns’ the position of each tool/object and stores them in the controller’s memory. The BK Mikro checks the position of each tool/object to ensure that it is present in the designated position. In case the tool is not present in this position and space, the BK Mikro system will signal that the tool is broken. This issue is communicated to your machine control, which stops the machine from functioning any further. Using this output, an incorrect position or part damage can be detected at an early stage. This prevents any major damage from occurring. If a broken tool is used in the process, it could crash the entire system. Hence, a major problem can be averted if it is detected in a timely manner. It also helps a manufacturer from producing parts with defects. The BK Mikro is used to optimize processes and for risk management. Several different models are available under the ‘BK Mikro’ series. You can choose one that fits your requirements. In case you need help with making this decision, Techna-Tool’s experienced staff will be more than happy to assist you. We pride ourselves in providing solutions that increase efficiency of the application and employee. Our BK Mikro scanners guarantee longevity and reliable service. This entry was posted in BK Mikro series and tagged Bk Mikro Part Position. Bookmark the permalink.